Let’s change it up a little bit and try something different. Smoked Carnitas- sounds like an oxymoron right? This recipe combines a traditional Carnitas dish with an untraditional technique and your Family and Friends will be asking for this meal every time they come over. 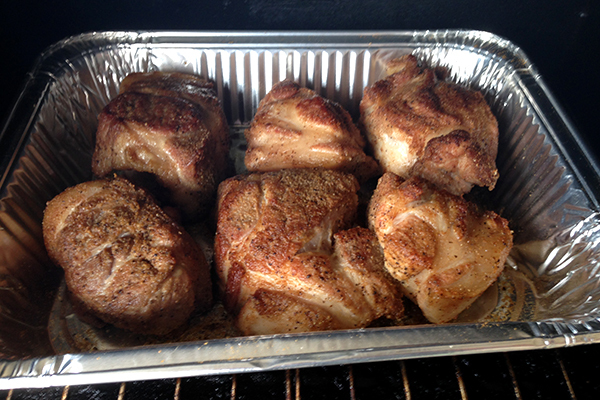 Step 1- Cut your pork into fist size chunks, and season liberally with GMG sizzle rub and cumin (set aside for 10 min). Heat lard in a large skillet for frying. Place pork carefully in pan giving enough room for each piece. 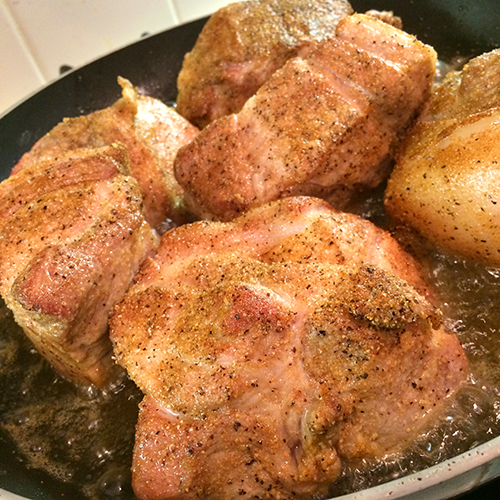 Fry for 3 min on each side or until the outside of the pork is crisp and golden brown. 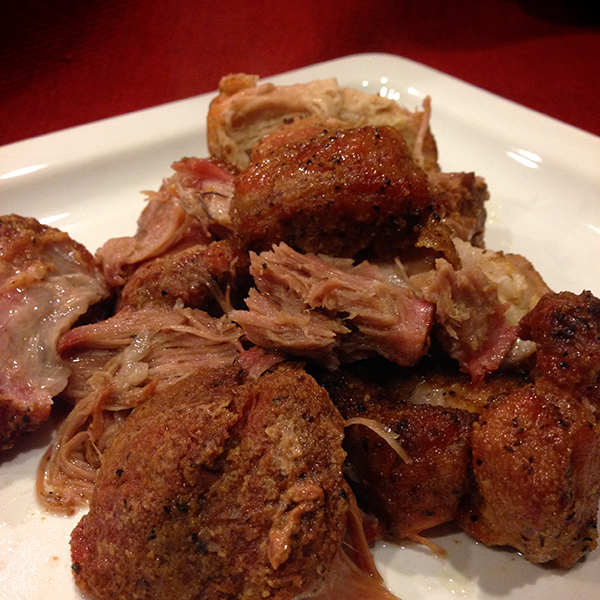 Step 2- Place your fried pork in a tin tray or casserole pan and place uncovered into your smoker set at 240. Smoke for 1 hour. Step 3- Remove your tray of pork carefully, add orange soda over the pork and re-season the pork lightly with GMG sizzle rub. 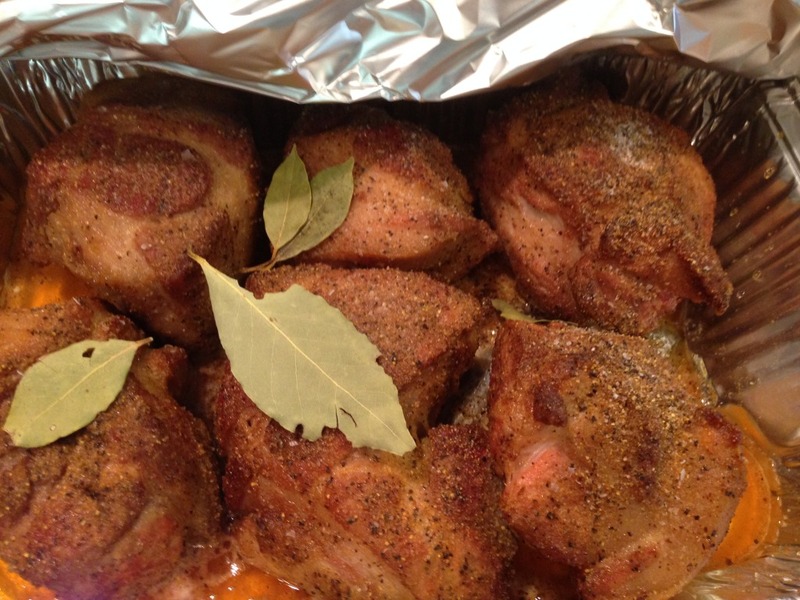 Add the bay leafs to the top of the pork and cover in foil. Return to smoker for 3 to 4 hours. Start checking after 3 and remove when pork is fork tender and starts to shred. Step 4- Let the pork cool slightly. Shred into large chunks, removing excess fat . Add 2 tablespoons of liquid from the pan to the shredded pork and Enjoy! 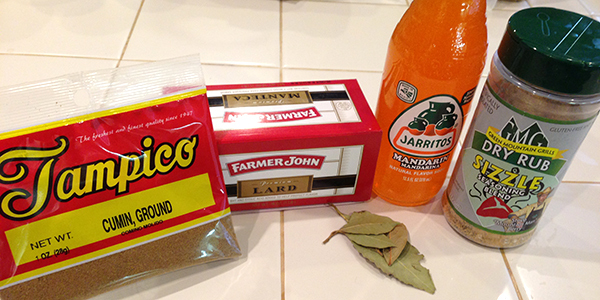 This Carnitas is great over rice and is perfect for tacos and burritos.